In Seattle, they are considering limiting house height and trying to control McMansion McMania where people are buying a lot, then tearing down the modest sized house and filling the lot with a gargantuan house. McMansions tend to appear in low density residential areas. Around Bellingham, they are drawn to county areas that are zoned for one and five acre lots like magnets. These lots are basically too small to be real farms yet too large to be affordable for the modest. They are prime candidates for mansion mania. For many reasons one to five acre plots are a bad idea. Up here, we don't yet seem to have the phenomena of tearing down modest size homes for the big ones. There's still some elbow room where the new monsters can go on new lots. In Seattle, where population is larger and there is less space, monster homes squeeze into smaller city lots tearing out the existing house. They may as well be apartment buildings as they can be similar in size. People are sometimes annoyed by such blatant wealth, plus the natural resources consumed in building for one household. I hear that restrictions are being considered. Rather than restrictions, a libertarian solution could be bumping up the zoning density where McMansions proliferate. They might as well be apartments and business buildings anyway. Why not? In some of Bellingham's older neighborhoods, big mansions are now being used for apartments and rooming houses. Many old mansions have evolved into student housing near the university. I'm not necessarily a libertarian, but that way of thinking is a good tool; sort of like asking, "what would Jesus drive, if in fact Jesus would drive." Allowing apartments and mixed use zoning in the McMansion areas would end a form of corporate welfare that protects these giant homes with single family zones. It would create more neighborhoods of mixed use and "income diversity." Some argue that increased density adds traffic, but it can also spur better bus service and more pedestrian destinations. 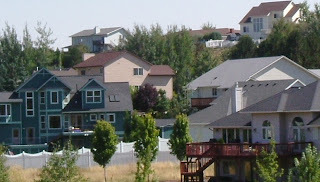 * Picture I happened to have in my collection of some fairly large houses in a new part of Pullman, WA.